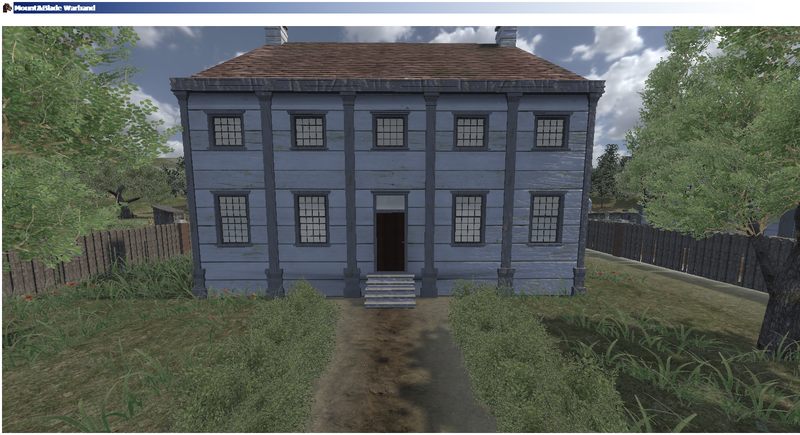 Extract files then copy and paste the files in the BRF folder onto the Resource folder and the files in the DDS folder onto the Textures folder of the War of 1812 module. Replace destination files when promted. Text file description of updates included in download. New textures for the white building set - This was formerly a stucco texture. 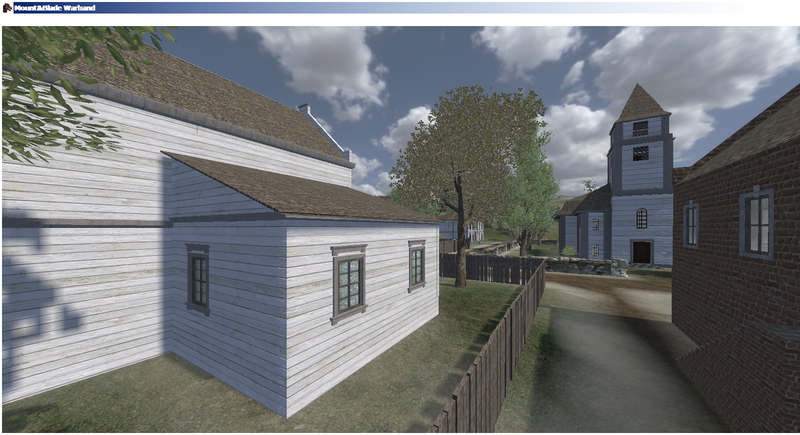 We changed it to wood clapboards to give the buildings more of a North American look. 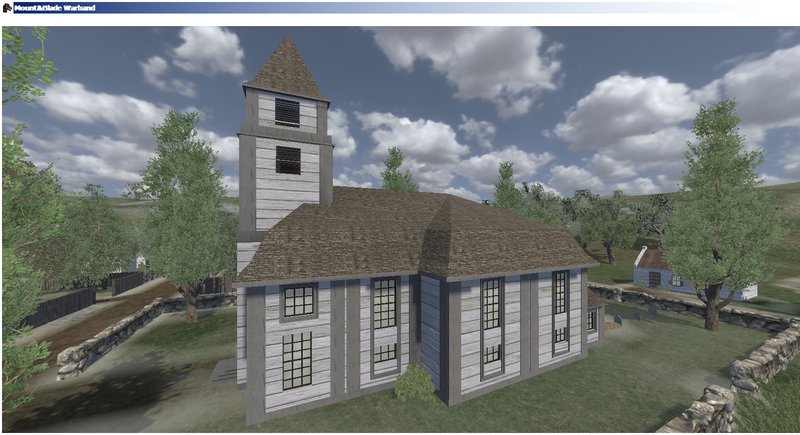 See the pictures below of how the new textures will look on the Bladensburg map. The interior of these walls will continue to have the stucco texture because it simulates plaster well. A new set of whitewashed walls from the old unpainted woodwall set is also planned. 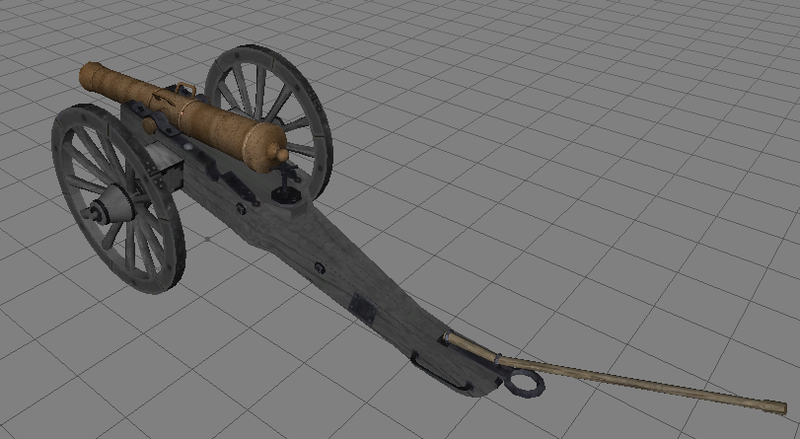 Faction specific Cannons - The current field guns used in the War of 1812 mod are the Gribeauval or French style guns that were used by the US Army during the war. The barrel of the cannon was made of iron and it was mounted on a double bracketed carriage. The British cannon, however, differed a great deal in appearance since they had a different, block and trail style carriage, were brass instead of iron, and had equipment boxes mounted on the axel between the gun and the wheels. 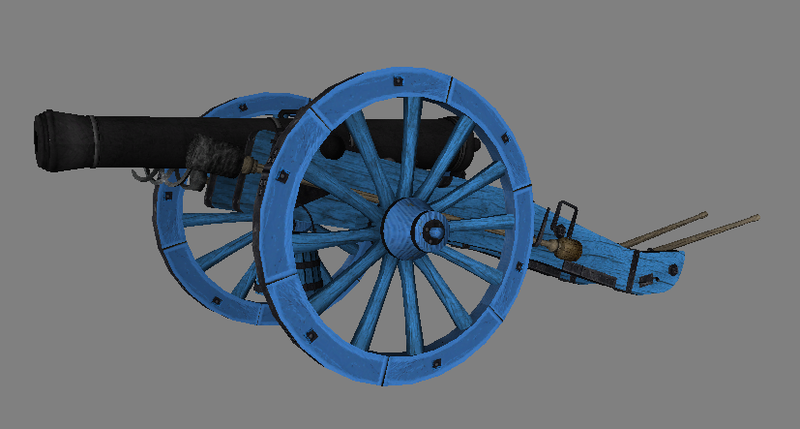 British artillery train drivers will now spawn with the new British style guns. 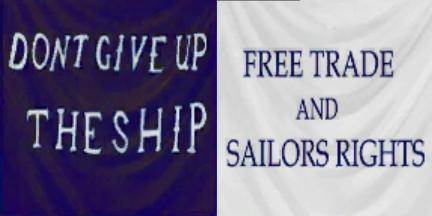 A couple new naval inspired banners - These will be US banners with a couple of famous slogans that came form the war. "DONT GIVE UP THE SHIP" were the dying words of Captain Lawrence on the frigate Chesapeake during his ill fated duel with the Shannon outside Boston harbor in 1813. Commander Oliver Hazard Perry flew a banner with these words on his flag ship the USS Niagara during the battle of Lake Erie. The white banner "FREE TRADE AND SAILOR'S RIGHTS' trumpeted one of the primary reasons for the war and was flown as a swallow tailed pennant on some US ships during the war. Although, one of these ships just happened to be the unfortunate Chesapeake mentioned above. See pictures in spoiler below. 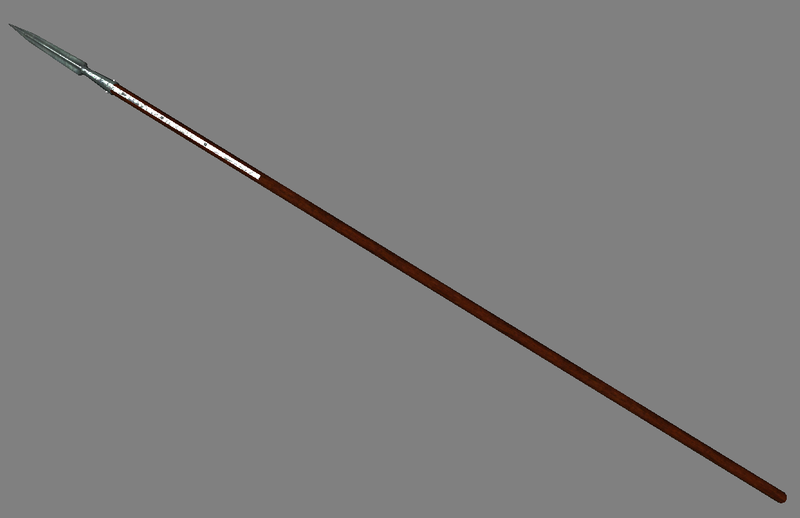 New Naval Weapons - We have completed models and textures for new naval cutlasses, boarding axes, boarding pike, and naval dirk to replace the hodgepodge of weapons currently used by sailors. 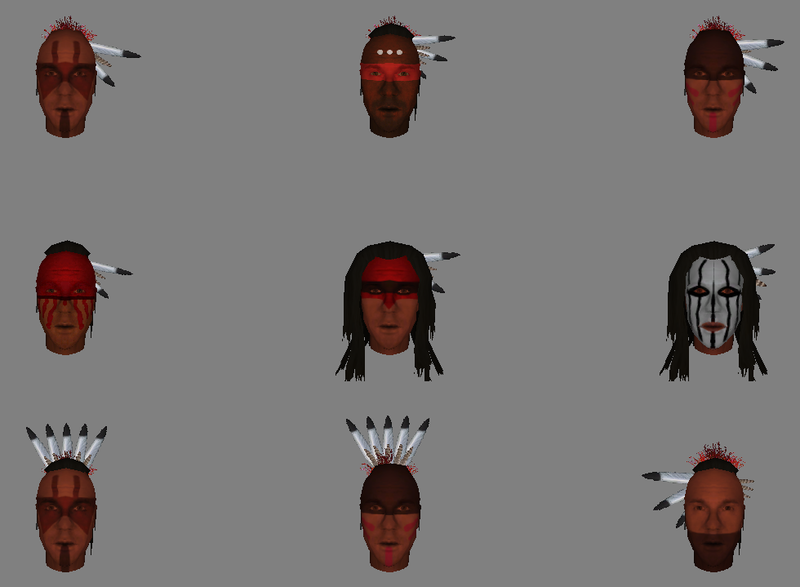 New Native Warpaint - We have added a couple of new native heads for the First Nations warriors. The ghost warrior warpaint head is new and so is the magua style head. All the heads have revised hair and feathers. 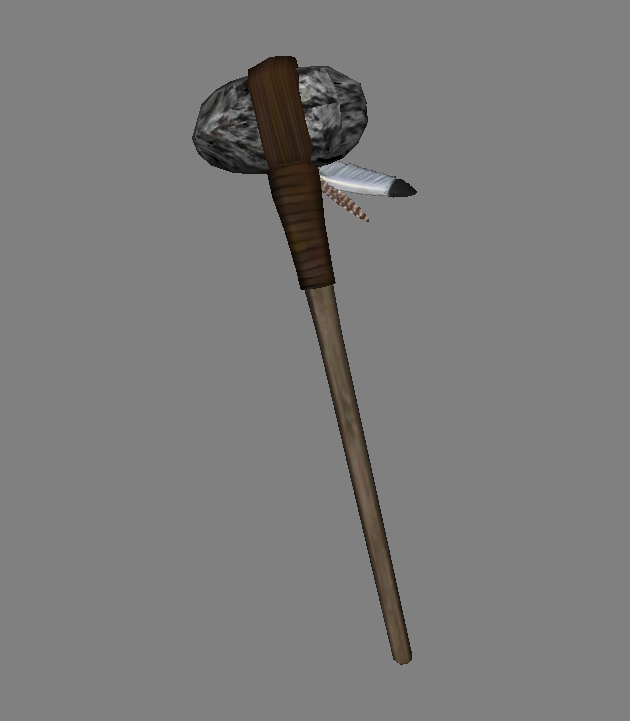 New Native Melee Weapon - The stone club has been added to the arsenal of weapons available to the First Nations melee warrior. Mac Linux Version - Our coder US Navy will provide a version compatible with the Mac operating system, Linux. If/when possible. If the bowie knives can't block then the tomahawks shouldn't be able to. The tomahawks are SUPER FAST. Might as well be my slow blocking. But if you're going to remove blocking for the bowie knife, then please slow down the tomahawk. The tomahawk will continue to be a weapon that can block. 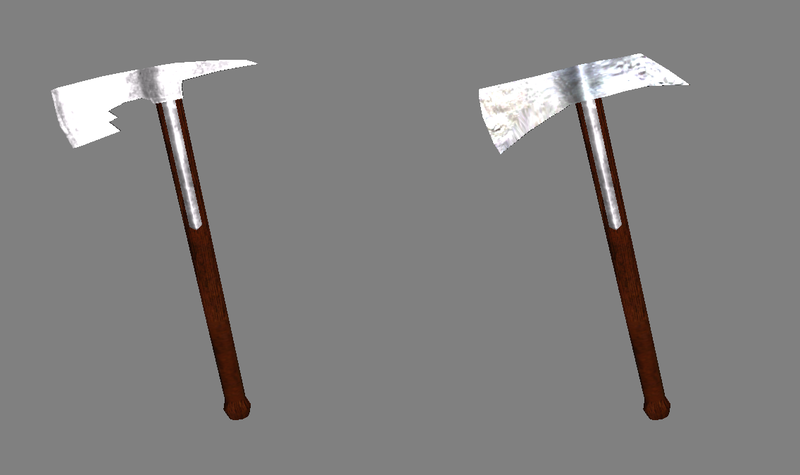 Tomahawks are very effective as a hook type of parry weapon. As far as reducing it's speed we will take that under consideration. I like the late and early idea. By the way , I'm sure that the bugs will be fixed and the mod's quality will be improved ! Good Work and Good Lucky usnavy30 ! Thank you everyone and as requested by Blitz here is the Manual instructions we have for the Early/Late War idea. We are looking into a possible batch file to make it easier to switch. After initial download the "War of 1812" module will automatically be in a late war configuration. *It is recommended to put a shortcut to the path of the "War of 1812" module folder on your desktop for easy access later. 1.Rename file "module" to "module_late"
2.Rename file "module_early" to "module"
3.Rename file "troops" to "troops_late"
4.Rename file "troops_early" to "troops"
Start the module and it will now load the early war troops menus and uniform resources. 1.Rename file "module" to "module_early"
2.Rename file "module_late" to "module"
3.Rename file "troops" to "troops_early"
4.Rename file "troops_late" to "troops"
Your module is now back in late war configuration. Repeat the (Late to Early) renaming sequence to change to early war again. I like the idea it's easy to follow. 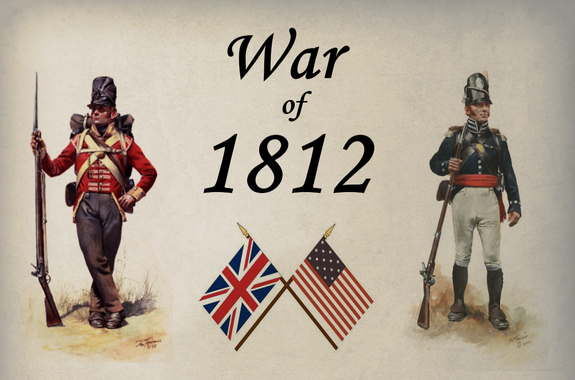 War of 1812: 0.5 Release Date - This Weekend! Targeted long awaited release date is this weekend! 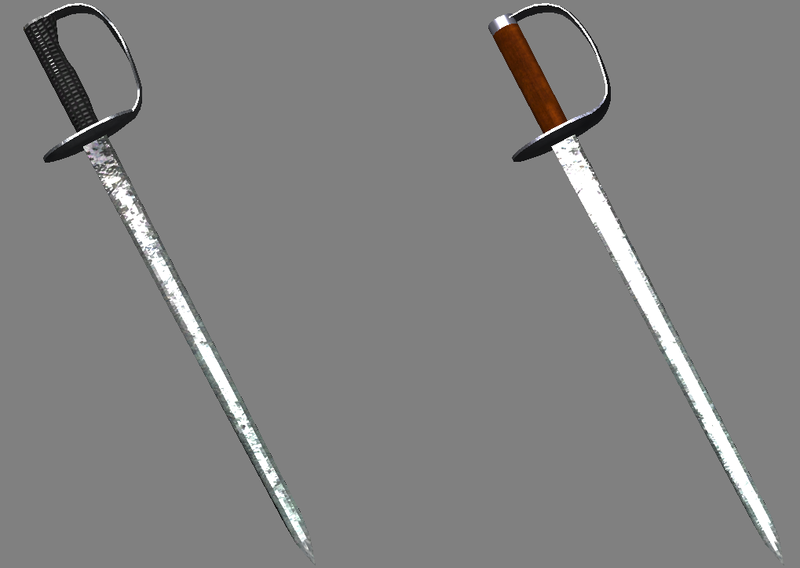 -Pressing 'B' to fix bayonets no longer transforms into a pistol as UK sergeant or natives. Largest fix for the mod as I have received many reports of this one bug. 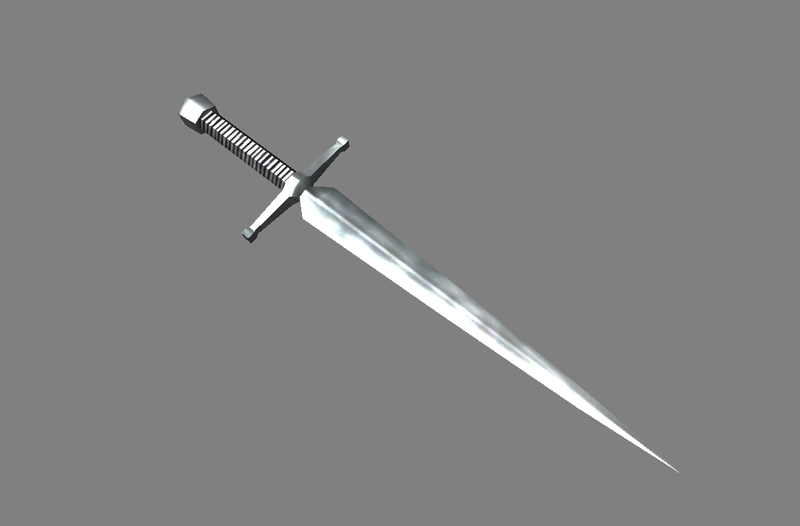 -Bowie Knife cannot be used to block now. -Many upon many and countless fixes on uniform details and item LODs. Next uploading to mediafire and generating mirrors. PS: We need a server! Choose ONE mirror to download the installer. Please note wait for servers to come online for 0.5, don't remove your 0.4 folder yet. Try refreshing the page or using google chrome browser. Damn, I just checked and no issues on my end. There are six mirrors to spread out the traffic.